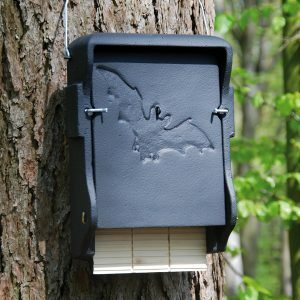 This type of box is readily used for forming large colonies, especially by Common Noctule Bats, Daubenton’s Bats and Brown Long-Eared Bats. 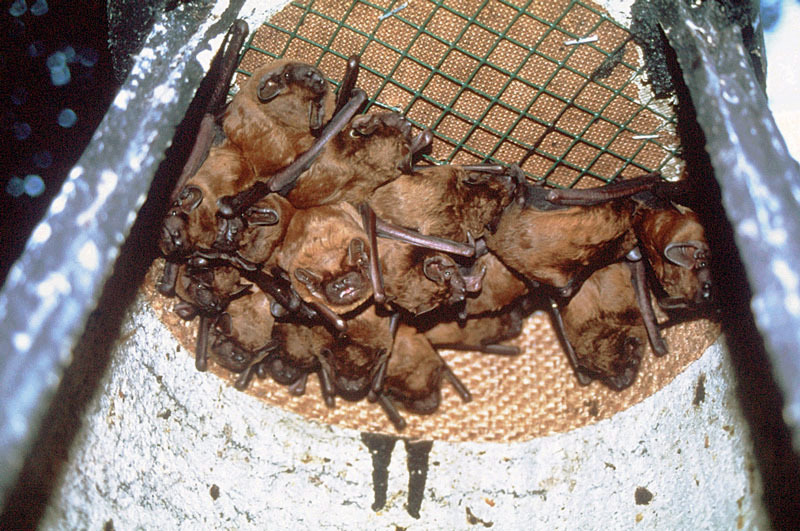 Nursery roosts with between 70 and 100 animals (including Noctule Bats) are common. 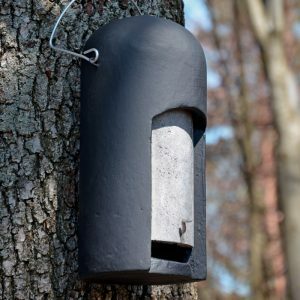 Thanks to the large interior and the integrated clinging options, for large numbers of individuals, this type of box is very attractive for forming nursery roosts and for rearing young. The 1FS has been used extremely successfully in Germany and abroad for decades. Regular removal of the droppings is recommended in case of high occupancy figures. It is also useful for estimating the occupancy and acceptance of the box. The box is suitable as a summer and temporary roost. 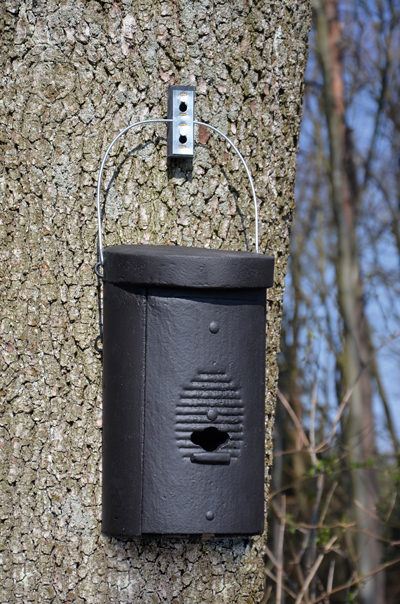 We recommend the Type 1FW for overwintering or hibernation. 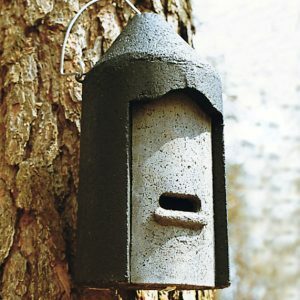 External dimensions: ∅ 28 cm. Interior design: The front panel consists of triple corrugated wooden boards. 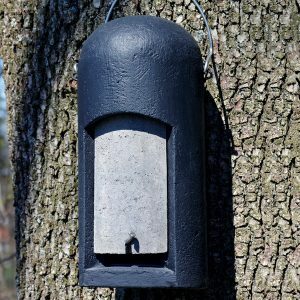 On the inside of the roof there is a special clinging panel with insulated mesh, where Bats find optimum clinging and clutching/clawing sites. Removable front panel for inspection and cleaning. 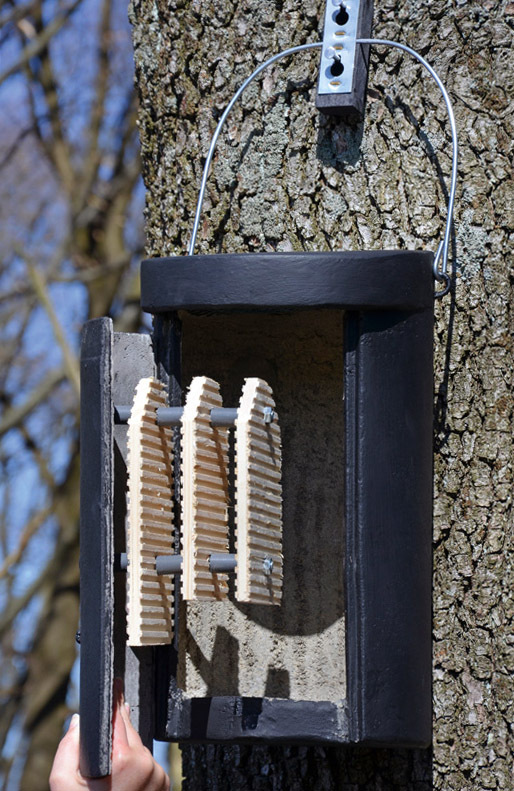 Hanger: Tree and forestry-compatible Aluminium Nails and C-Block. 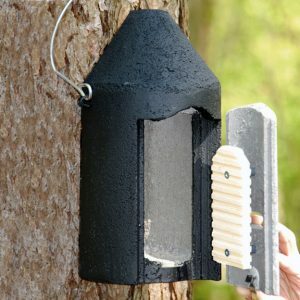 Includes: Nest box, hanger with mounting blocks and aluminium nails.